The research division at SIUH continues to undergo some exciting changes. The goal of this division is to enhance residents’ appreciation of research. This is accomplished through developing a better understanding of the basic principles of research and essential research processes. Our two full-time research associates are dedicated to actively recruiting patients and organizing the many current projects within the department. The hospital also employs a full-time statistician who is available to all residents to assist with their study design and data analysis. Regularly scheduled research lectures are included in didactic conference. 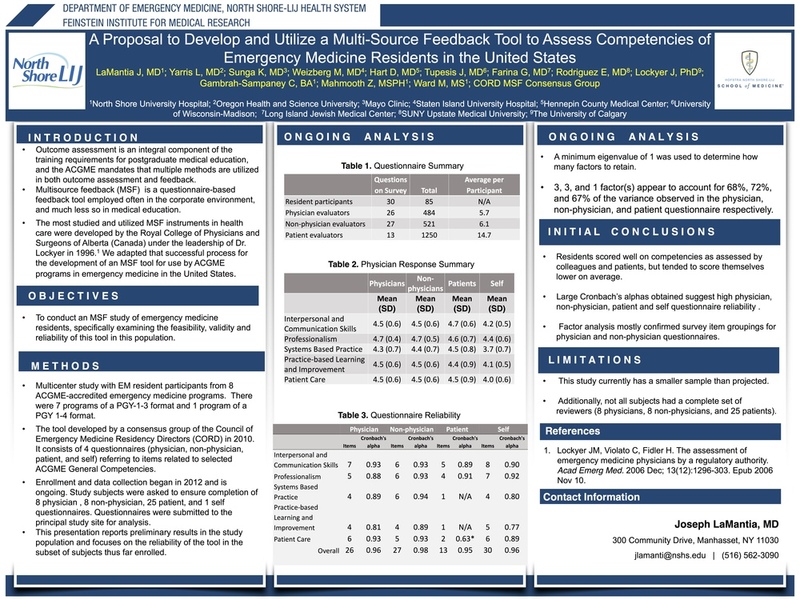 Residents in emergency medicine will be expected to participate in scholarly activity during their training. Each resident will experience two dedicated research blocks. The resident, working directly with the research director and a faculty member, will have the opportunity to participate in all aspects of the project including background research, IRB approval, data collection and analysis, and manuscript preparation. The goal of this involvement is to allow for those residents interested, to independently develop their own hypotheses and protocols for future research. 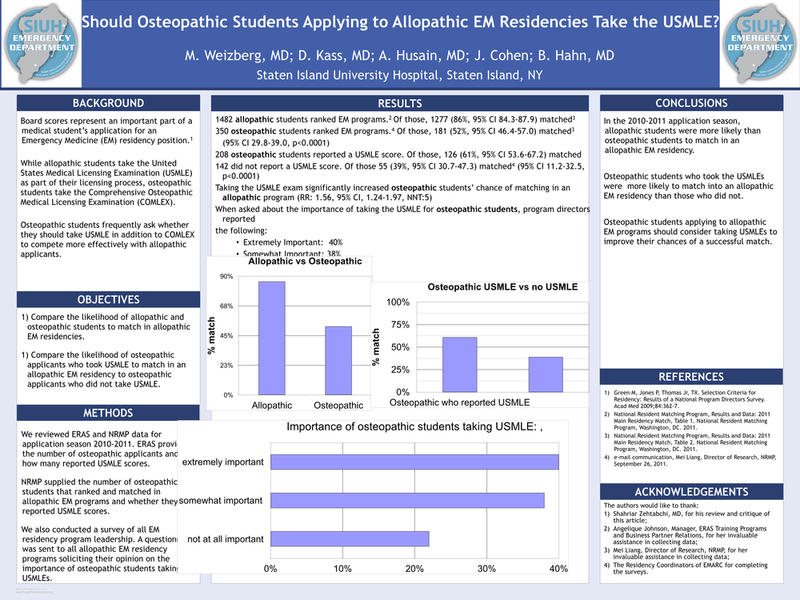 The expectation is for our residents to present their work at meetings on the state and national levels and develop a higher degree of clinical proficiency and critical thinking.